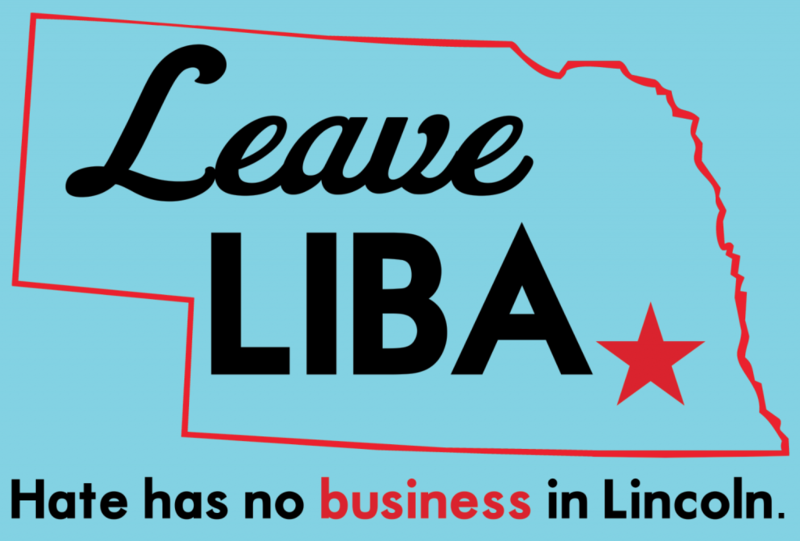 LIBA is at the center of an ugly political machine in Lincoln, a machine that wants to make money for the rich while oppressing LGBTQIA people and depleting our community resources. Here’s how some of this shell game works. LIBA, Inc. is an entity to “organize business community to form positive pro free enterprise voice.” Mach is President and CEO. This is the entity that pays Mach a salary of $138,000 a year. LIBA PAC is a political committee that directly funds candidates and other political groups. Has had an official role with the Republican Party and was a committed delegate to the 2016 Republican National Convention to cast a vote for Trump. Is a radio host with KLIN, where he hosts a daily radio show covering Lincoln politics that often present only the conservative side of local issues. Has been an on again/off again radio host with another station, KFOR. Has held some kind of official role with Citizens for a Better Lincoln. This gets very messy when we see disclosure forms in which Mach is asking for radio time for ads about the Lincoln City Council race on the four stations owned by Three Eagles Communications, including KFOR, and signing checks to Three Eagles from the LIBA PAC account. Honestly, it’s too complicated to follow, which is pretty much what the Lincoln Journal Star concluded. The Republican Party, a nonprofit, a PAC, an association, another political committee, recurrent relationships with two radio stations and the parent company of one, all circulating money and propaganda to influence elections and policy decisions in Lincoln. Specifically the goals are to elect candidates with hateful social views and to slash investments into shared resources. Mach, President and CEO of LIBA and delegate to the Republican National Convention, is also behind a group called Citizens for a Better Lincoln. LIBA gives a lot of money to Citizens for a Better Lincoln. 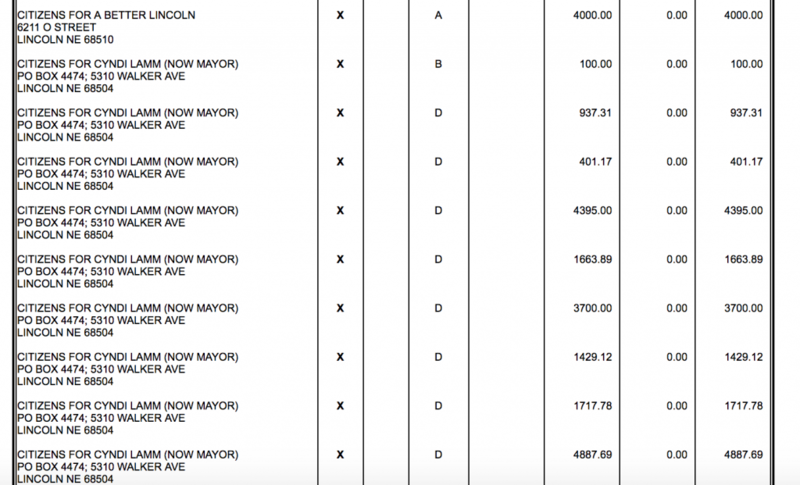 Citizens for a Better Lincoln gives a lot of money to Political Renewal Association, which is led by the former chair of the Nebraska Republican Party, J.L. Spray. Political Renewal Association uses the money to collect signatures to put mayoral term limits on the November 2018 ballot, which–and this is unusual–applies retroactively, thus eliminating the Republican Party’s opponent from the spring mayoral race as close to the election as possible. A portion of just one disclosure form, showing money flowing out of LIBA into Citizens for a Better Lincoln and Cyndi Lamm’s campaign. From the Nebraska Accountability and Disclosure Commission web site. Then Cyndi Lamm, who is on the City Council due to money and support from LIBA, runs as the Republican for mayor. LIBA uplifted the Lamm to power, and LIBA cleared the field for her of Beutler. Is this the kind of Lincoln we want? Shady shell games and dirty tricks to elect people who think that many of us are subhuman and want to destroy shared resources? It’s time to say no to LIBA. Hate has no business in Lincoln.